Printed using blue and gray inks on high-quality, recycled paper. 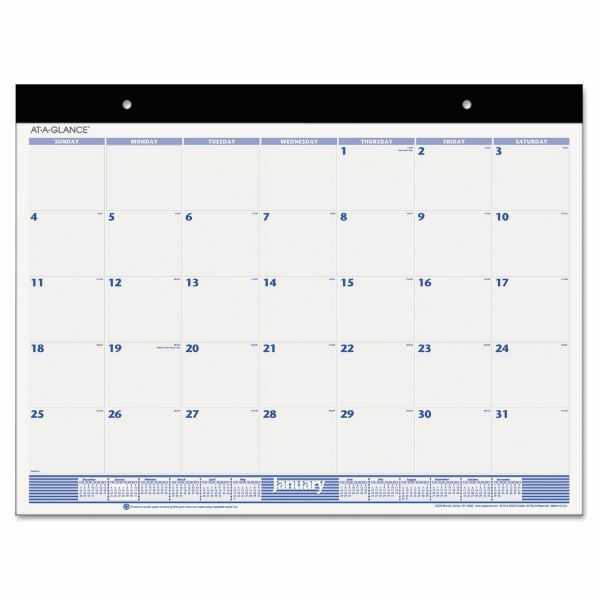 AT-A-GLANCE Desk Pad, 22 x 17, White, 2019 - Desk pad calendar protects your desk and keeps you up-to-date with classic styling. Dated planning pages range 12 months from January to December. 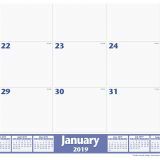 One-page-per-month format features unruled daily blocks, Sunday-through-Saturday scheduling, count of days/days remaining, holidays, and a full-year calendar reference at the bottom. 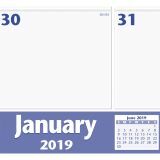 Current month is boxed for easy identification. Daily blocks measure 3 x 2-3/8". Design also includes a wide paper headband with two eyelets for hanging and black poly corners. 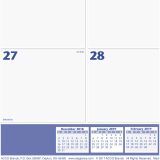 Calendar pages are perforated for clean tear-out and printed in blue and gray ink on quality recycled paper."